I didn’t know who he really was… British bad boy… cocky rock star… my stepbrother. Reading about Spider, what little there was, in other stories made me want to read this one without reading the blurb. And knowing who the author was, I jumped at the chance when it came up for a chance to read it for a review. Spider is the up and coming rock star, his band just needs to break through. When he meets Rose on a plane, he knows there is something different about her. He could fall for her and lose himself in her and not care about anything else but her. But Spider doesn't do relationships, he breaks hearts before he gets his broken. That is, until the plane lands and he finds out just who Rose is. Rose is on her way home after visiting a cousin in New York and she ends up sitting by Spider. Band member of Vital Rejects, the band she saw the night before, and just looking at him makes her feel things she has never felt before. She would like to see where those feeling might lead, but after Spider’s little stunt on the plane, Rose hates him and isn't afraid to tell him. After all, she will never see him again, at least that is what she thought until she sees him talking to her stepfather and adoptive mother. It seems that Spider is her new stepbrother. But Rose isn't sure she can be nice to him after what happened on the plane. She may be able to forgive him, but she can forget. He has hurt her and he doesn't seem to care. But he is always showing up wherever she is. He tells her things one minute that make her heart skip a beat, and the next minute he is breaking her heart. Then his father sends him to LA and Rose goes to New York to college, never hearing from Spider again. She has to move on because it seems that Spider has moved on without her. Now, four years later, she is living with Oscar, dating Trenton, and her life seems perfect until she sees Spider. And everything falls apart. Can Rose make him leave her alone as he wanted her to do all those years ago? Will Spider tell her the truth of why he left and broke her heart? Will Rose ever be able to forgive him for what happened? This story is fantastic and I loved everything about it, even the tears I cried for Rose. It will have you laughing and crying, it has all the feels that make a story great. So get yourself a favorite drink, blanket, quiet place, and read it. You will not be disappointed. This is an interesting book to place in a genre, as it has elements of rock star, young adult, and a very clever stepbrother relationship. In fact, the familial connection between Spider and Rose is perfectly tenuous and so strong that it affects their short-term future dramatically. Luckily the story is set over a number of years, so there is time for all to be resolved. I love that this book channels Jane Eyre – it works brilliantly for anyone who knows the story, and is a nod to romance writers everywhere. Never mind the time, the path to true love rarely is smooth. Whilst not a direct parallel, the links are strong enough, and explained well enough in the book that we get a great steer as to the possible direction of the story. I loved the epilogue, and that Oscar remains a strong part of Rose's life. Good friends are invaluable. Very satisfying read, which I would happily read again. 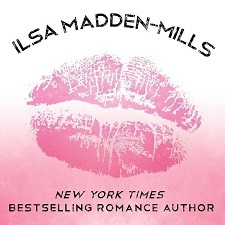 Reviewers on the Wicked Reads Review Team were provided a free copy of Spider by Ilsa Madden-Mills to read and review for this tour.